Audi launched production in 1984 of cars type 80, modification Diesel and terminated it in 1986. In this vehicle can fit 5 person total, it has sedan body type with 4 doors, and length 4.4 meters, weight 0.9 tons. 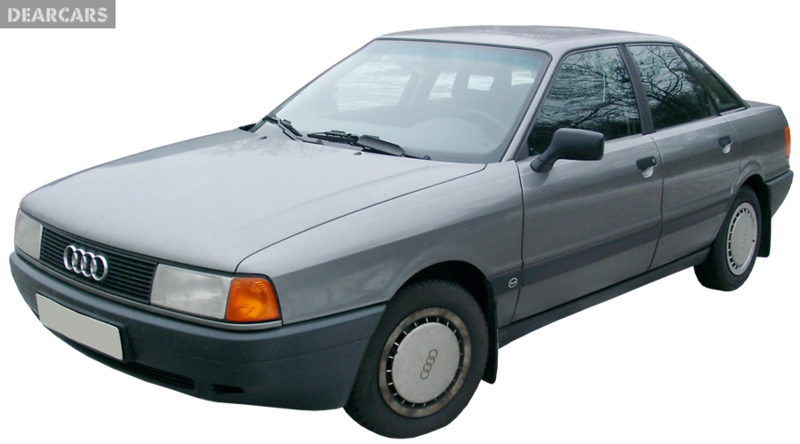 «80 Diesel» vehicle with a 3-speed automatic gear shift is fitted to the front wheels. The 4-cylinders diesel engine with «indirect injection fuel system» can produce power 54 hp at 4800 rmp, allowing you to speed up the vehicle in 23.3 s to 100 km/h and get max speed of 140 km/h. Medium fuel consumption is 7.2 liters per 100 km. Fuel tank volume is 68 l of diesel, what provides to go nearly 945 km unrefueled. The front wheels of this vehicle have disks brakes and fixed to the undercarriage using suspension type «MacPherson, independent, coil springs» and equipped stabilizer bar. Rear wheels have drums brakes and attached to the underframe using suspension «Rigid, coil springs» and equipped anti-roll bar. Tires have the following size - 165SR13.